What makes for a good Batman aside from dead parents, a crime-infested city, and a trusted sidekick? Why, eyebrows, of course. Well, at least, that’s what the people of the internet think. The interwebs is abuzz with suggestions for the next Bruce Wayne. 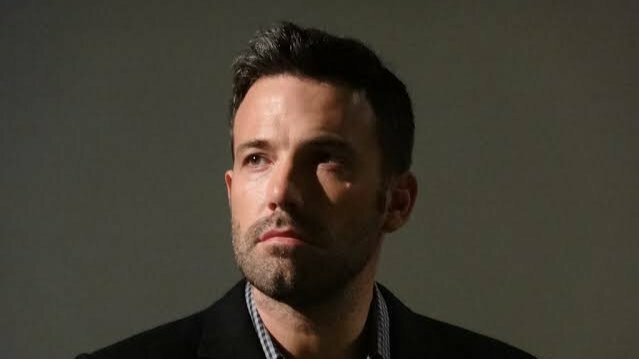 Ben Affleck, current Dark Knight title holder, has pretty much confirmed he won’t be starring in the next Batman film. And so, what grand theory has the internet come up with this time? That Batman should have—you guessed it—good eyebrows. Author G. Willow Wilson proposed on Twitter that Batman should have “profound eyebrow game” to be successful. It’s hard to argue. Of course, all scientific research requires hard evidence. Wilson was happy to oblige the almost three thousand people who liked her tweet. Michael Keaton and Christian Bale get the seal of approval. Affleck, on the other hand, isn’t off the hook. “Ben Affleck? Now I love Ben Affleck, don’t get me wrong. But the man’s eyebrows are practically an afterthought,” Wilson wrote. When asked about Adam West, Willow replied with what she claims to be insider knowledge. Not to be outperformed, other Twitter users pointed out some holes in her hypothesis. “Seriously, I was just thinking ‘But Clooney has glorious eyebrows, and his Batman game was meh!’,” wrote Twitter user Patrick Sharp. Others offered their suggestions for Bruce Wayne based (partially) on strong eyebrow game. Oscar Isaac, Lee Pace, and Jon Hamm were quick to be suggested as Batmen-to-be. Whether ot not you’re a fan of the Batman eyebrows theory, tye fact remains that Ben Affleck has taken the Batmobile out for the last time. Reports say that the 2021 Batman film will likely feature a younger Caped Crusader. Warner Bros. hasn’t confirmed Affleck’s departure yet, but the actor’s tweet seems ample confirmation of years’ worth of rumors. Of course, the Gone Girl actor/producer could always come back someday to play a Bruce Wayne that’s closer to his age. But, for now, the internet is having a field day trying to find the DC Extended Universe its next Batman. Reeves take on the Caped Crusader, titled ‘The Batman’ is set to premiere on June 25, 2021. Batman is an American cultural icon. The character was created by artist Bob Kane and writer Bill Finger. He first appeared as “Bat-Man” in the 1939 comic book Detective Comics #27. Unlike his peers with the laser eyes and the super speed, Batman has zero superpowers. His crime-fighting is enabled by his genius-level intelligence, deep pockets, and hand-to-hand combat skills. While this might peg him as the underdog, in truth, it’s part of his appeal. On one hand, we have Superman, Wonder Woman, and The Flash donned in, well, flashy colors. On the other, Batman is in a gloomy black-and-gray ensemble. His origin story is also one of childhood trauma. A young Bruce Wayne watched his parents die at the hands of a heartless mugger. It’s why he devoted his whole life to fighting crime. If even Batman is subjected to rigorous eyebrow standards, then what does that mean for. the rest of the male population? Where eyebrows used to be a neglected part of men’s faces, now, brows are becoming part of their grooming routine. Now, for some bad news: most men will need some form of eyebdow grooming as they hit the big 3-0. As they age past 30, men’s brows get a little longer and heavier toward their eyelids. The good news? Men are starting to see “girly” treatments like eyebrow treading and tinting as not taboo. “There is a lot less stigma attached to all areas of gentlemen’s grooming now, and keeping your eyebrows looking defined and polished is simply one aspect of that routine,” Emily Gordon-Smith told The Guardian. Gordon-Smith is a director at trends company Stylus. With regular threading to clean up the brows and microblading to fill in the sparser areas, men don’t need to worry about a worrisome everyday routine. Microblading, in particular, requires almost no maintenance. After one session and a few weeks’ aftercare, men can have gloriously filled out brows for up to two years. The best part is that microblading is safe and compatible for all skin types. There’s no damage done to any of the existing eyebrow hair, and annual touch-ups mean the brow shape and design can be updated. To learn more about common mistakes and best practices in male eyebrow grooming, click here. For more information about microblading, check our article on explaining microblading.